One of the most important tasks for LS1 was achieved this autumn when all the electronics racks in the USC55 counting rooms were switched from the standard powering network to the CMS low-voltage UPS. This long-sought move will prevent fastidious power cuts of the CMS electronics in case of short power glitches on the main powering network, as already assured to the detector front-end electronics in UXC55. In the same time, a study to update the dedicated UPS units for some crucial detector sub-systems, as the Magnet Control System (MCS), the Detector Safety System (DSS) and the IT Network Star-points, has been lunched. A new architecture, with fully redundant UPS units, able to assure power supply in case of long network outage (up to a maximum of five hours, in the case of the Magnet) has been recently presented by the EN-EL group and is currently under evaluation. The dry-gas plant recently commissioned in SH5 has passed a first test in order to understand the time needed to switch from dry-air to dry-nitrogen. The test has shown that in about five minutes the plant can deliver more than 100 m3/h of dry nitrogen at 8 bars, which is fully satisfactory. A more complete test will be done to check the maximum delivery capacity at full power (i.e. with the two compressors working in parallel) in the coming days. The CMS water cooling systems are back into operation, with the last distribution loops being opened when the thermal screens and muon chambers were put back in place with new connectors. On the perfluorocarbon C6F14 circuits, the second stage of works for allowing a safe operation of the Tracker at low temperature is ongoing. In September, a pilot installation of an insulated cabinet to house the Silicon Strip 1 cooling plant gave encouraging results for the improved accessibility and the environmental control. The same modifications are being applied to the other plants starting 11 November. At the same time, the refurbishment of the electro-pneumatic cabinet, improving the reliability of the system and eliminating the leaks on the instrument air circuit is starting and will be completed by the beginning of December. This activity, together with the last modifications on the primary circuit, will end with a full performance test assessing the full activities of LS1 on these systems. In preparation for the Phase I Upgrade, the CO2 full-scale prototype of the Pixel cooling is being commissioned in building 186. All components for the manifold, the accumulator and most of the plant are validated and the purchases for parts to be installed at P5 will start in the next weeks. For P5, the transfer lines to distribute CO2 on YB0 have been purchased and are now being built, for installation in January 2014. The two additional tenders for the remaining paths up to the cooling plants in USC are in preparation and will be sent out by the end of the year. 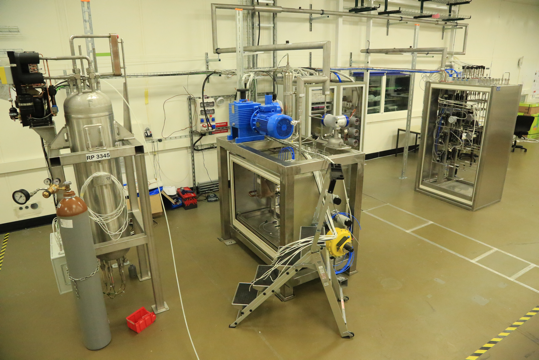 Image 1: The TIF CO2 cooling plant: full-scale prototype for Pixel Phase I Upgrade.